Technology in the Classroom is not just a trend. Teachers all over the world are incorporating twitter and other forms of social media into their lesson plans, students now have access to up to 3 mobile devices each, and school wireless IT directors are looking for advanced ways they can control all the technology in the classroom without sacrificing security or classroom productivity. Go to Google News and start a search for "Ipads in the classroom". 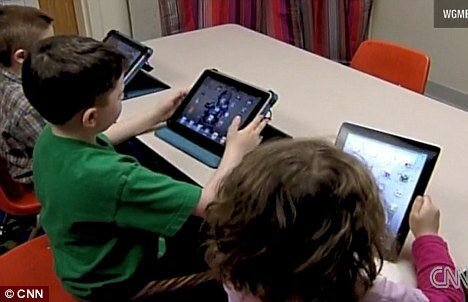 Many classrooms inside and around the United States have began implementing Ipads with students as young as Kindergarten. As an IT director, you need to have a secure school wireless network that can support the devices the school provides combined with the mobile devices students are already carrying. Ipads and other mobile devices are now commonplace and your school wireless network is now expected to support it. By using Role Based Network Security, you can assign specific students, devices and teachers their own "policies" for what they can access on your network and online. The old way of keeping students off Facebook was to just simply block Facebook from the entire network. The new way shows that you can easily assign specific ID's to student devices, student networks, teacher networks and more that give specific access to sites or programs. Streaming high definition video across the campus is possible now with the right technology. Providing a outdoor wireless network for your campus helps student productivity by giving them more spaces to work in. Guest Networks can also come into play with a campus outdoor wireless network, allowing users access by asking for specific login information through a Captive Portal or Guest Access. As Technology in the Classroom increases, the IT department needs to know everything about their school wireless network, what they can support and how they can plan their school wireless network to support devices of the future. SecurEdge Networks provides planning, deployment and design for school wireless networks and can help with all three of the important topics above. Please contact us for a Free Consultation! Or download our free school wireless network design guide.